Deep single through middle to double in tail for speed and control. Comes standard with five fin boxes and can be ridden as a tri or quad. Knee to a few feet overhead, easily excels in soft open faced beach breaks and points. 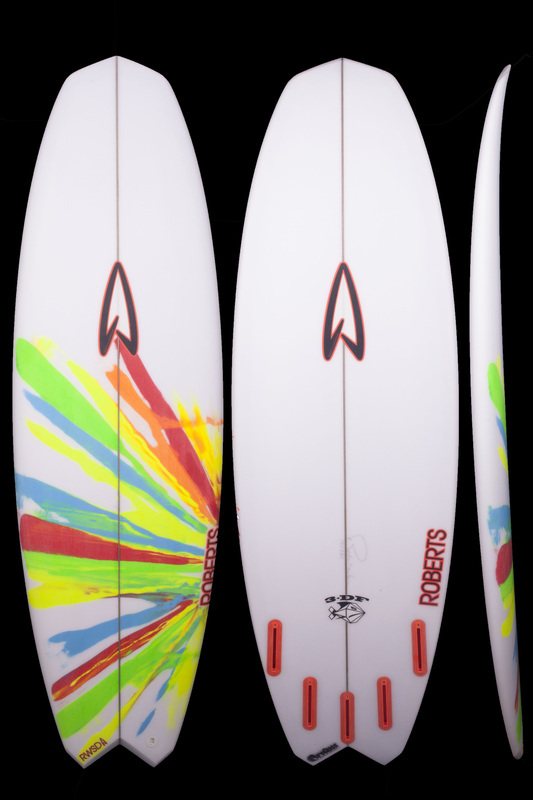 Order this board 7-8 inches shorter, 7/8” wider and in the same thickness as your standard hi-performance short board.